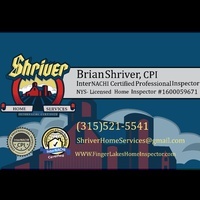 Shriver Home Services is a veteran owned, family run, full service home inspection business. Licensed through New York State (NYS License #16000059671) and fully insured we are dedicated to the highest quality inspections possible. We are committed to our clients. We don’t feel you could get better service in any market at any price.